Sakai Guides and DocumentationSakai Complete User Guide RosterHow do I view/search the roster? Zoom: View list of class participants. If you have groups in your site, you may filter by group using the Groups drop-down menu at the top. 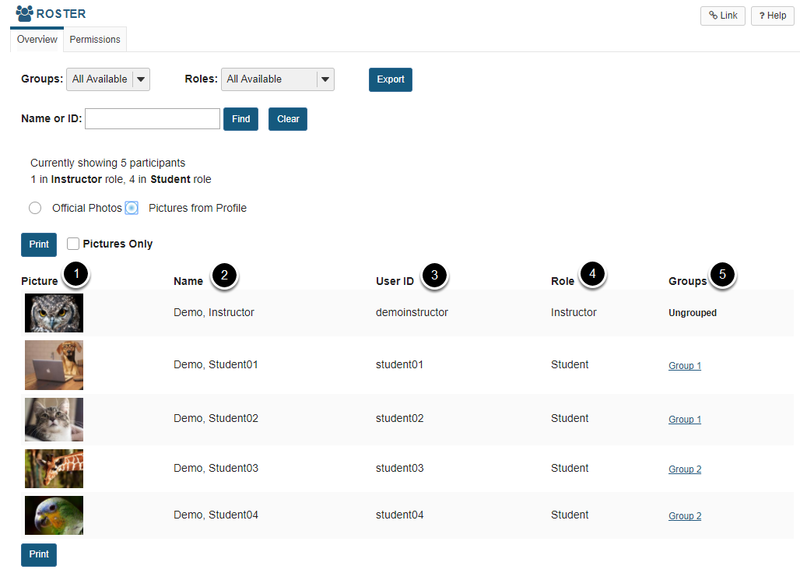 You may also use the Roles drop-down menu to filter the view by user role. Prev: What is the Roster tool? Next: How do I export the roster?